December 2015 hit and out from the heavens poured white gold. 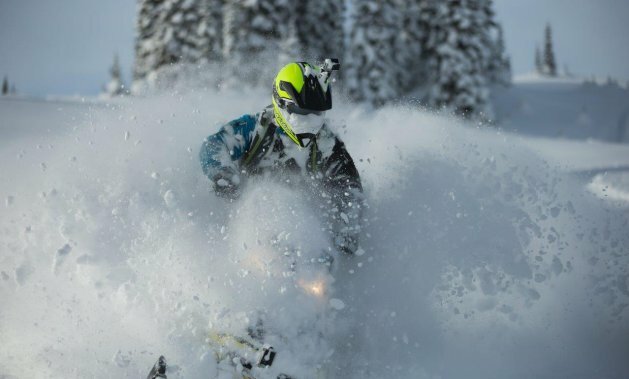 Since then, sledders in the mountains of Western Canada have been crushing it almost every weekend and our Hotshots contest has been flooded with amazing photos. But this one, taken by Danny Roberts of Valemount, was the winner. How long have you been a sledder? Back in Newfoundland where I grew up, I learned to ride an old 1987 Tundra. The first mountain sled I could afford to buy on my own was a 2013 Summit XM 163. 2016 Summit T3 174 Turbo. I’m a process plant operator for Shell Canada. What is your favourite riding area, and why? I moved to Valemount because of the great riding. 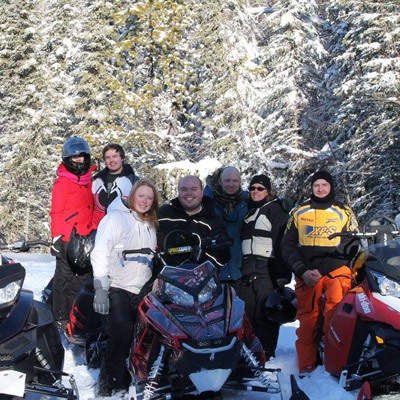 The Valemount area has so much to offer, from the annual snowfall depth to the well-managed snowmobile areas. The farthest I will drive to find great snow is 60 kilometres. 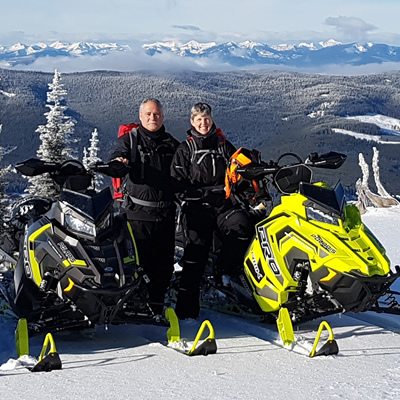 Not only is the Valemount area a great place to ride, it is a central location to three great riding areas, including McBride and Blue River. What are your ideal riding conditions? 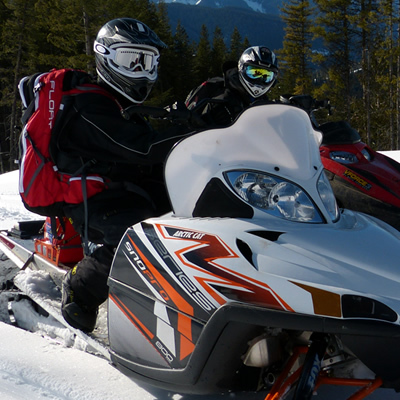 Who is your favourite sledding partner, and why? Curtis Pawliuk. One hundred per cent of the time he pushes me to be a better rider, even if he only believes in me 50 per cent of the time—ha ha. He’s not a bad rider, too. ATVing, hunting, fishing, hiking and photography. Tell us more about the day you took this photo. It was the first day of the season. A recent storm had loaded the hills with fresh snow and the skies opened up. 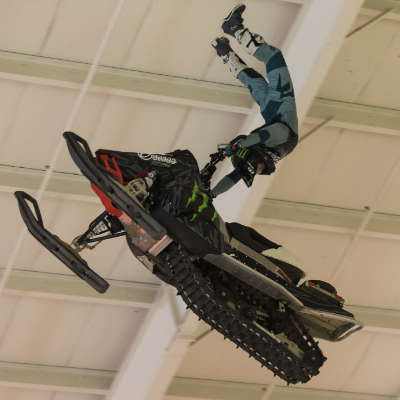 That day would be every sledder’s dream. As we unloaded the sleds, there wasn’t a cloud in the sky. We rode 30 kilometres of ungroomed trail through open creeks and trenched-out trails to try and reach the promised land. We broke through the trees, landing in the first meadow, only to see a single sled ripping across an entire pow field in our direction. “Waaa-hooo,” the rider yelled. Immediately, I recognized the sled and rider as he approached us with a helmet and sled full of snow. “Curtis,” I yelled. “Let’s go!" Curtis shouted. We rode back to his group to meet up with Niclas Mader and Jarret Rowan. We went on to ride the deepest snow I’ve ever ridden in my life that day. Come 12 o’clock, we were all out of gas and ready to head out. We all agreed, what an amazing start of the season. Thank you to Zac’s Tracs Avalanche Skills Training for sponsoring last month’s contest! To see what we’re giving away this month, visit the Hotshots page.